Troy's career in the music industry began in 1981, when he joined his father, Ed Germano, at The Hit Factory in New York City. He experienced the business from the ground up, eventually becoming Executive Vice President in 1984, after the studio moved from its longtime location on 48th Street to Broadway and 54th Street, the former home to Bell Sound. The Hit Factory expanded to England in 1989 through a joint venture with Sony's CBS Records U.K., at the site of their famed CBS Studios. The Hit Factory London operated with great success through 1993. In early 1993, Troy designed and built the state-of-the-art rooms that would become the hallmark of The Hit Factory's new headquarters, located on West 54th Street and Tenth Avenue. And in 1999, the Germano's expanded their recording facilities yet again, purchasing the historic Criteria Recording Studios in Miami. He assumed the Chief Executive Officer position in 2000, when his father became ill during the early stages of the Criteria project. In 2001 Troy completed the design and re-construction of the Miami facility. By 2002, the number of music studios under his supervision had grown to sixteen recording/mixing rooms, six mastering suites and six writing rooms between New York and Florida. The 2003 TEC Award for Studio Design was awarded to him for New York's new Studio 6; this would be the last of the legendary Hit Factory facilities he would be involved with after the passing of his father that same year. The roster of artist's who have recorded at the studios is a veritable who's who of the music business: John Lennon, The Rolling Stones, Stevie Wonder, Paul Simon, U2, Madonna, Bruce Springsteen, Michael Jackson, Luciano Pavarotti, Andrea Bocelli, Beyonce Knowles, Sting, Peter Gabriel, Talking Heads, Neil Young, Lenny Kravitz, Eric Clapton, Sade, David Bowie, Joan Jett, R.E.M., Frank Sinatra, Tears For Fears, Celine Dion, Miles Davis, Mariah Carey, Seal, Whitney Houston, Jay Z, Mary J. Blige, Natalie Cole, Luther Vandross, Tom Petty, Billy Joel, Tony Bennett, The Eagles, Blondie, Hall and Oates, Bob Dylan, John Mellencamp, Billy Idol, Robert Palmer, Will Smith, Julio Iglesias, Britney Spears, B.B. King, Notorious BIG, Run DMC, Kiss, Foreigner, Aerosmith, Squeeze, Bryan Ferry, Pete Townshend and Keith Richards. 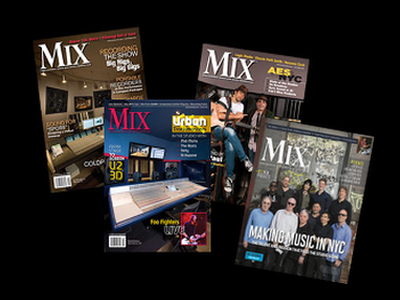 Many of the finest producers, engineers and mixers have called these studios home at one time or another, including Steve Jordan, Kevin Shirley, Mark Ronson, Bruce Swedien, Chris Lord-Alge, Phil Ramone, Bob Clearmountain, Tom Lord-Alge, Thom Panunzio, Nile Rodgers, Jimmy Iovine, Elliot Scheiner, Scott Litt, Al Schmitt and Humberto Gatica. In 2003, Troy completed the design and build of the initial recording studio for New York University's Tisch School of the Arts Clive Davis Department of Recorded Music. In 2004 and 2005, he organized and purchased concerts for The Sazka Arena in Prague, Czech Republic, including his first live event, a sold-out R.E.M. show with 15,000 plus in attendance. Red Bull North America contracted his company Studio Design Group in the fall of 2005 to design and build their new recording studio in Santa Monica, California. This project was completed in October 2007. The last 5 years Troy has searched New York City for the site of the next cutting-edge facility. In July 2007 the location was found in Noho and the design/building process began shortly thereafter. On May 12th 2008 a new era began, with the New York opening of Germano Studios.